Matson contributed a total of $3.6 million in cash and in-kind donations to more than 850 charitable organizations and non-profit programs in the communities it serves during 2018. 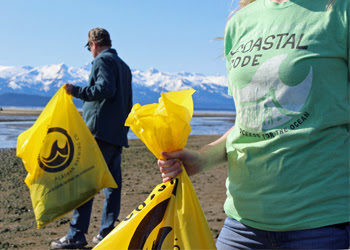 This spring, Alaskan Brewing will team up with local nonprofits to host its annual community cleanups in Alaska as part of its Coastal CODE (Clean Oceans Depend on Everyone) initiative. After several years of steady but flat giving through Alaska’s premiere charitable giving campaign, Pick.Click.Give. is experiencing an increase in overall pledged totals as well as the amount pledged per donor. Never Miss an Update with Alaska Business. Sign up for our e-newsletters for the latest industry news and event updates. May 1-5 the Anchorage Museum hosts the third-annual North x North Summit & Festival. This year’s theme, “Alaska: Back on the Map,” recognizes the role Alaska will play in securing America’s energy security for years to come. 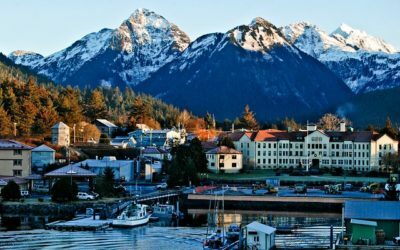 Alaska is home to a small, but growing, tech community. There are a cadre of entrepreneurs who are creating cutting edge technologies here in the 49th state and gaining recognition and customers in the Lower 48 and around the world. The potential opportunities for this sector to flourish here are very real, but not always discussed enough in conversations about growing and diversifying the state’s economy. WTC Anchorage Executive Director Greg Wolf was honored for his nearly two decades of work to promote stronger trade and investment ties between Alaska and China.